This homemade dress is perfect for the summer or winter! Material will not irritate your baby's sensitive skin and will keep your baby warm in the winter and cool in the summer! Have fun with which hat is worn with the dress too! 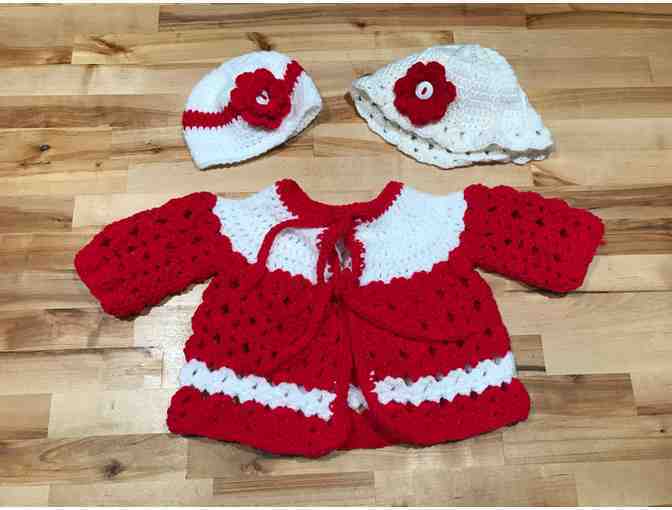 Dress and hats fit children 9-18 months old.